While men have got their man caves, women also need a space of their own, as many of our clients have come to understand. “She Sheds” shows readers how to create cozy getaways with inspiration from across the country. 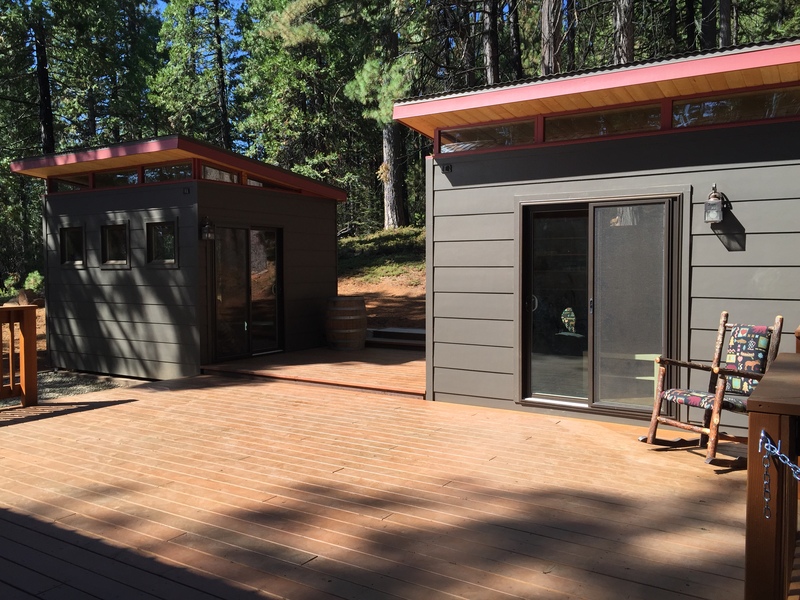 In addition to building her sister a she shed, Kotite also featured a couple Modern-Sheds in her work. Buy her book on Amazon and check out other blog posts for more inspiration on ways women use their sheds! 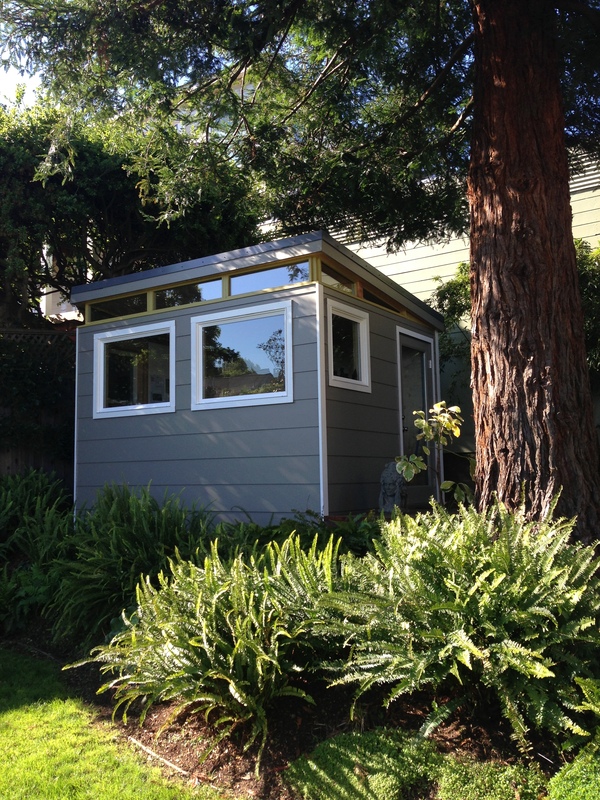 This Modern-Shed home office sits under a Redwood tree and provides a quiet spot for reading and relaxing. The iconic Meg Ryan scene from “When Harry Met Sally” comes to Fay’s mind whenever she shows off her Modern-Shed craft studio turned home office to friends and family.